London, June 27, 2013 AEST (ABN Newswire) - Following Baobab Resources plc ( LON:BAO) recent announcements regarding the engagement of Standard Chartered Bank as corporate advisors and the results of the PFS-level 2Mtpa pig iron production financial modelling, the Company's website has been updated to include relevant news articles and research reports. 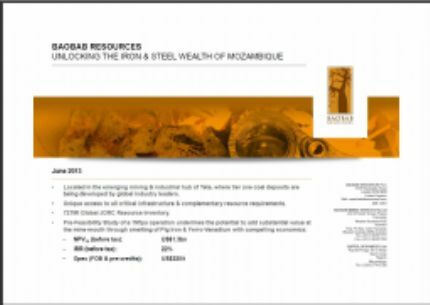 Also on the company website is Baobab's June Presentation. 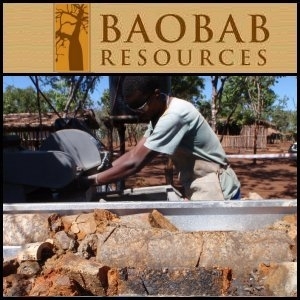 Baobab Resources plc (LON:BAO) is a Mozambican-focused explorer with a large landholding in the central north of the country. The company's flagship project is the Tete iron ore deposit.